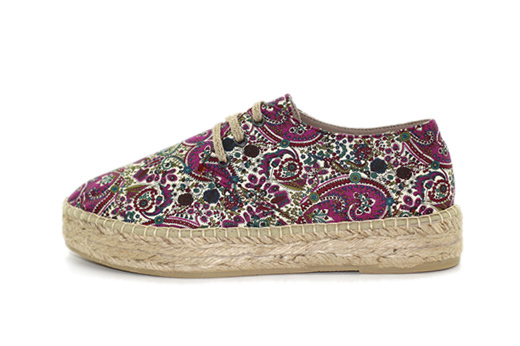 Our Classic Platform in Paisley Bordeaux has shades of purples, pinks and reds that pair wonderfully with neutrals. With a higher and thicker jute sole, these kicks also have matching briaded jute laces for a complete look. 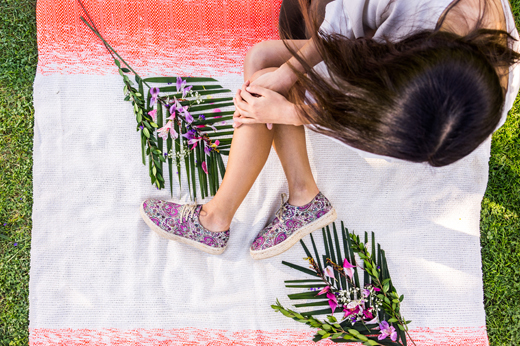 Laro Espadrilles are handmade in Spain and equipped with vulcanized rubber soles.